Are your efforts are really driving leads and sales through your pipeline? Get a one-stop view of all your marketing activities scheduled for the month. Get insight into your key metrics on a day-to-day basis e.g. number of engagements, goals, and sales you have made every day. 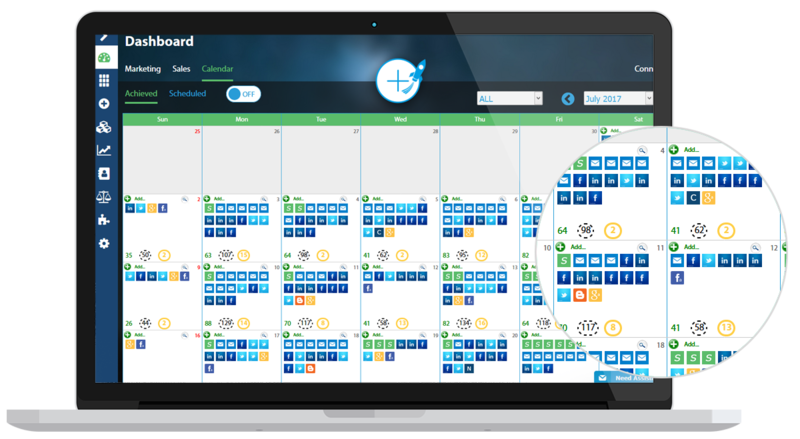 Bring your off-line and online marketing efforts into one calendar overview, and see how well you efforts are paying off and whether they are driving sales. 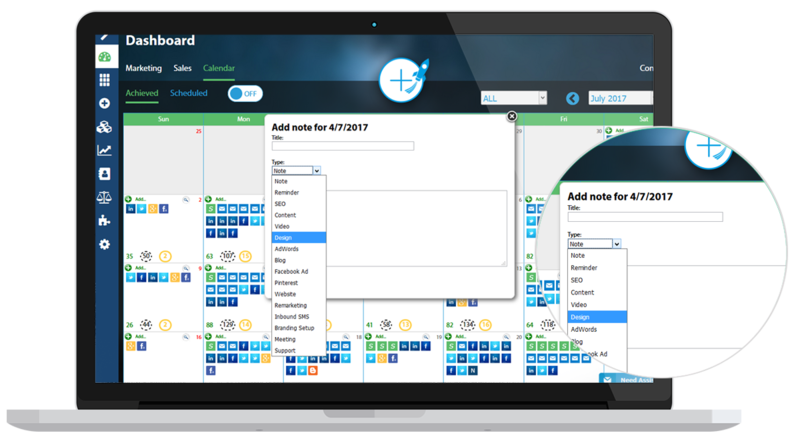 The Zymplify Calendar is designed to include all of your efforts within the month in one easy-to-understand format. It also offers the ability to add additional activities that are not automatically pulled in from the platform e.g. creation of E-books, graphics etc. 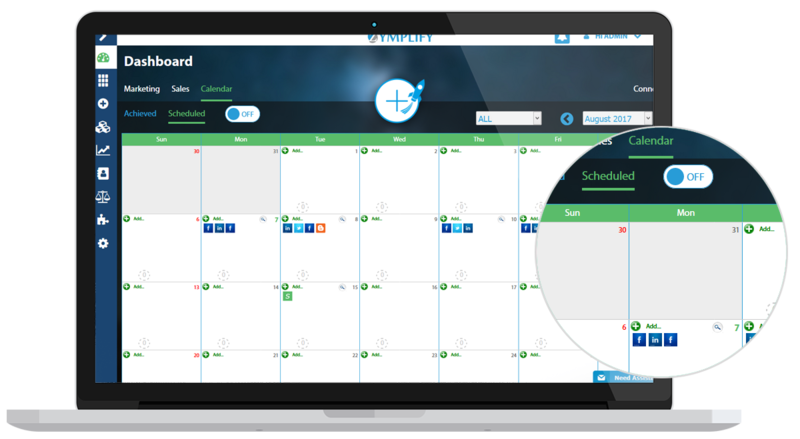 As well as seeing how well your marketing activities are performing, the Zymplify platform offers the "Scheduled" view which shows all of the upcoming activities you have scheduled so you can continuously monitor your activities going forward.